I was feeling a bit stressed out because the days were rushing past me and I hadn’t started on the Cake Book Challenge yet. I had only 25 weeks to accomplish this goal to begin with! But finally, the Cake Book challenge has officially begun! 1 recipe down, 49 more to go! 23.5 weeks left! 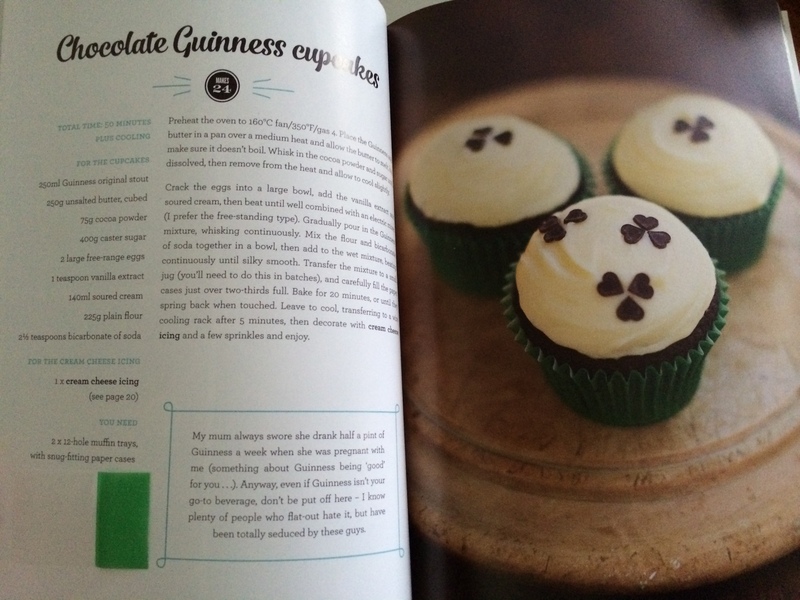 I chose to start with the Chocolate Guinness cupcakes recipe (page 44 of the book) because I love Chocolate Guinness cake. The recipe was similar to my favourite choccie Guinness cake recipe (the Hummingbird Bakery recipe is ace and is a great go-to cake) so it wasn’t going to stress me out. Plus, I get to drink the left over Guinness (which I did!)! One thing I did realise is that my hands are horrible and I have no icing talent! The hands were wobbly and I couldn’t control the piping bag as well as I would’ve wanted to. 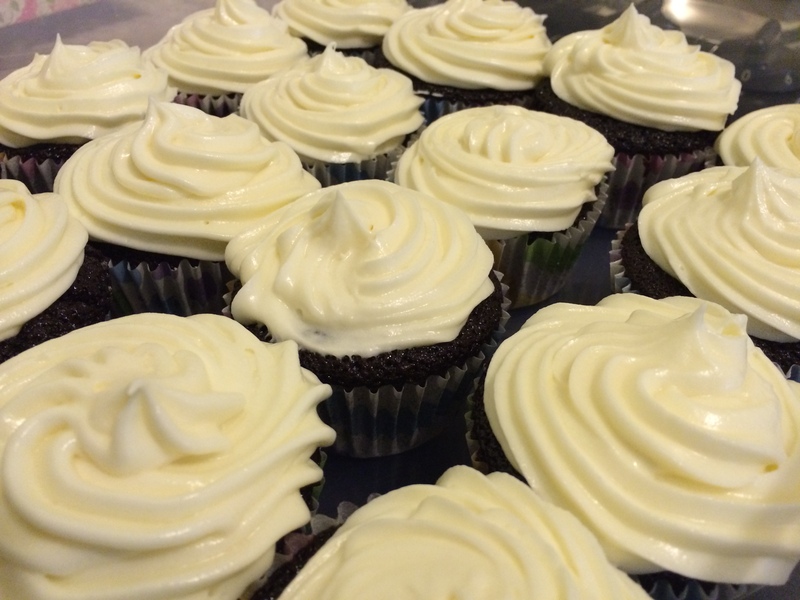 Also, attempting to ice anything with cream cheese frosting in this heat is generally a silly idea. The minute I’d finished icing the cupcake, I could see the frosting softening ever so slightly! I think the necessary tweak would be to add more icing sugar. Maybe! I may scrape off all the icing and start over again! I will be making Carly’s holiday cake today as well (I am hoping to accomplish this with all the good will and positive thinking in the world!). Today’s baking mantra: I will manage my time properly! Previous PostSo what happened to that Tefal issue?